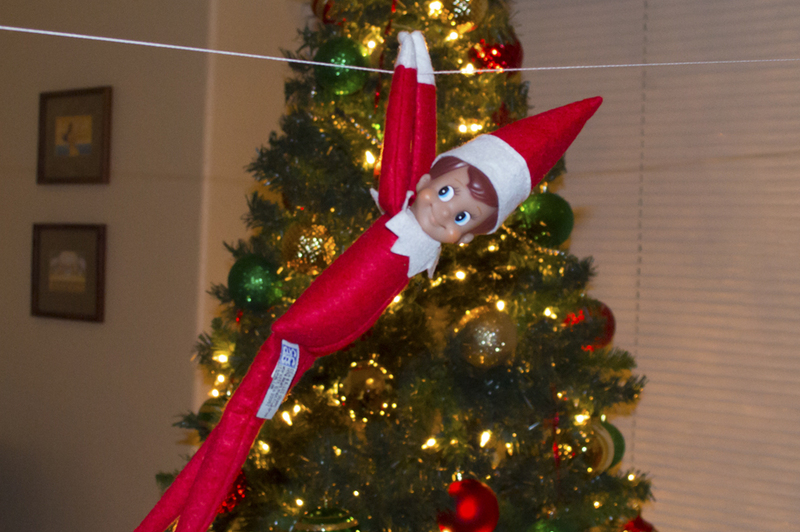 Full humor and the Christmas spirit, the Elf on the Shelf is a fun holiday tradition embraced by families everywhere. But how did you know there is a story behind this tradition? Where does the Elf get it's magic? How does Santa really know who is naughty or nice? 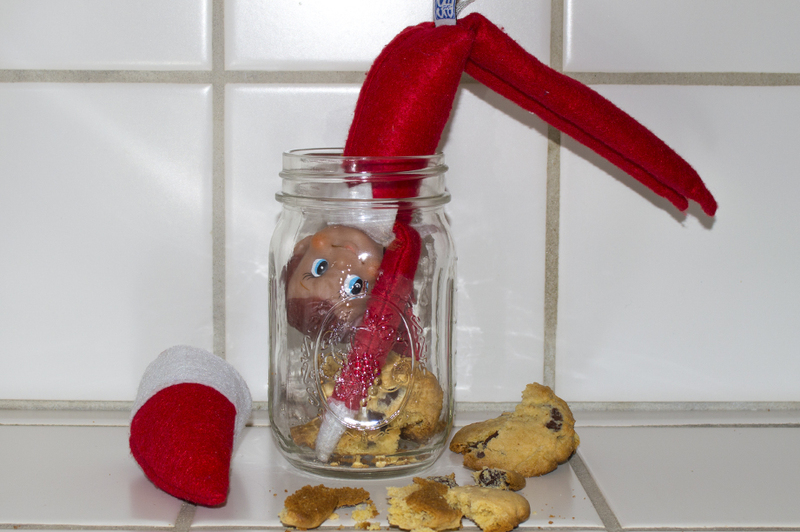 Where will the Elf hide next? 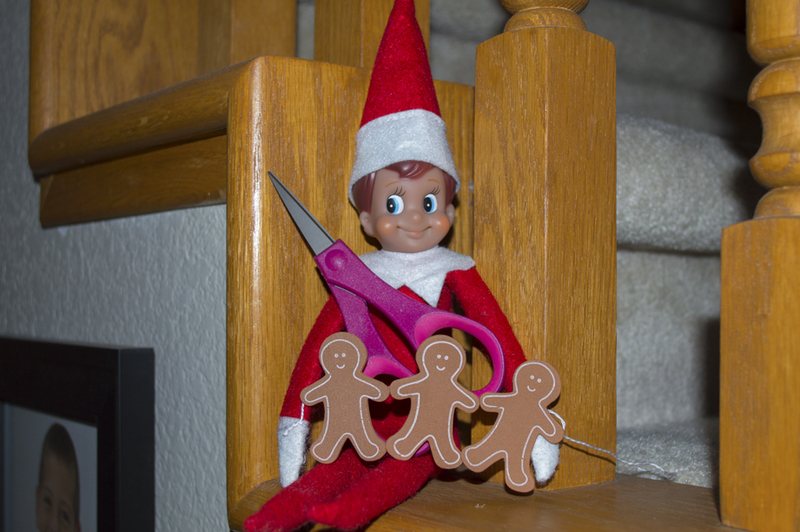 The answers are finally revealed in…The Elf on the Shelf: A Christmas Tradition. The Elf on the Shelf gift set includes a hardbound children's book, a Scout Elf from the North Pole, and a keepsake box for easy storage year after year. 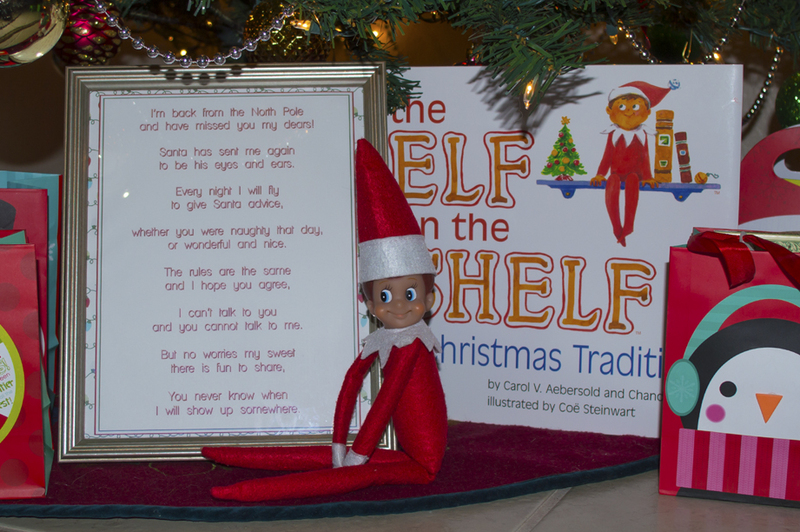 Based on the tradition Carol Aebersold began with her family in the 1970s, The Elf on the Shelf: A Christmas Tradition Book is cleverly rhymed children's book that explains how Santa knows who is naughty and/or nice. 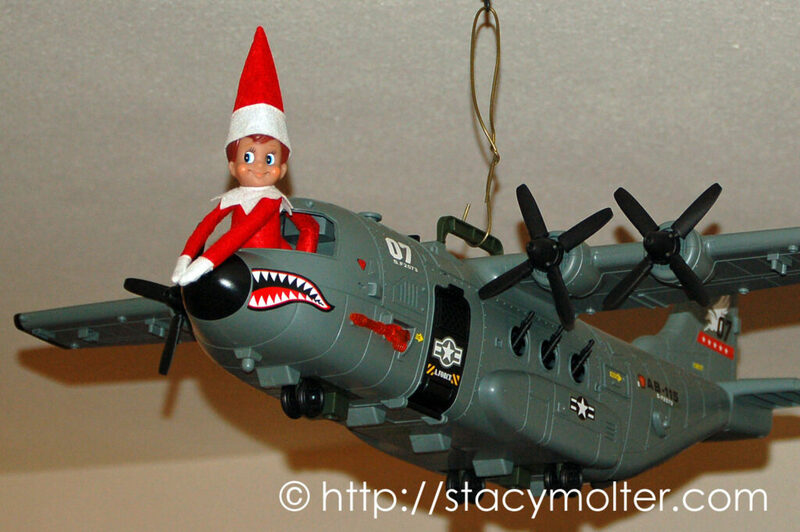 When Santa sends a scout elf (The Elf on the Shelf) to every home during the holiday season, the elf watches the children by day flies back to the North Pole and reports to Santa each night. 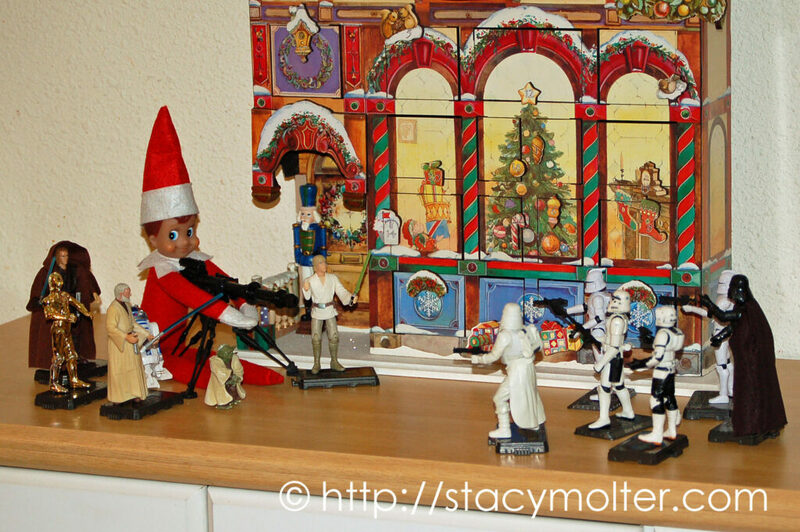 Before the children wake, the elf has returns from the North Pole and can be found hiding in a different location every day. 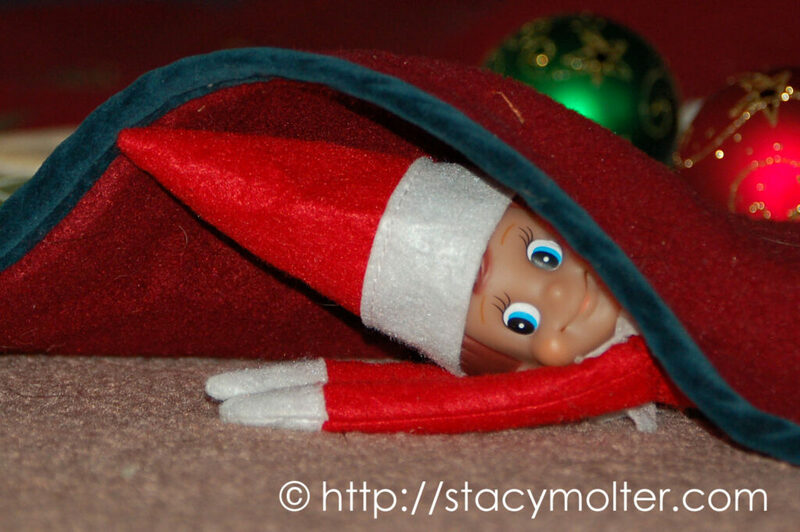 This fun activity allows The Elf on the Shelf to become a delightful hide-and-seek game the entire family will enjoy. 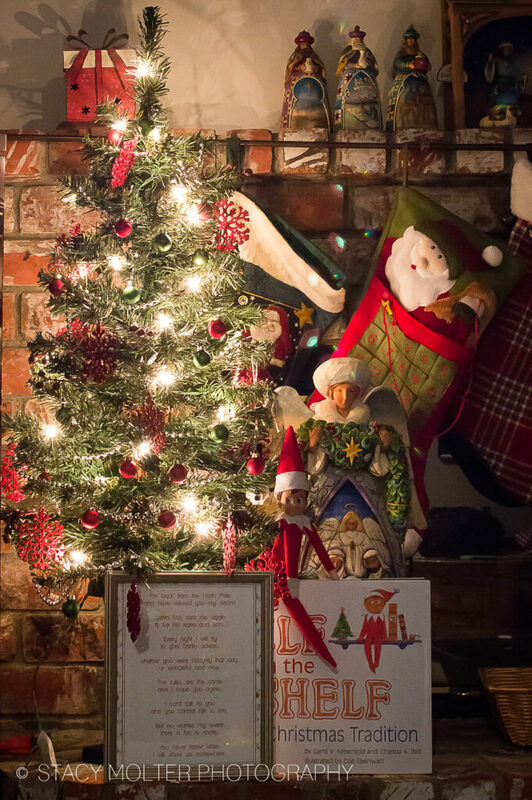 Every year our elf returns with a letter for our children. 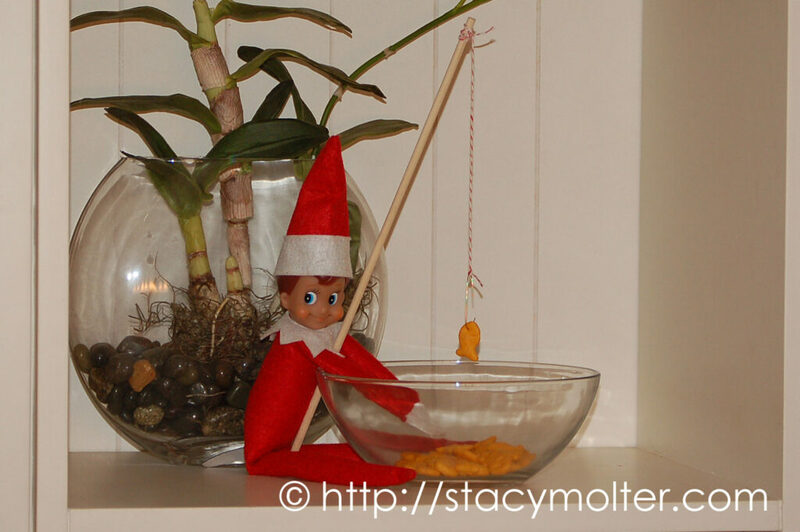 You can print this Free “I'm Back!” Elf on the Shelf Printable here. The Force vs the Dark Side. 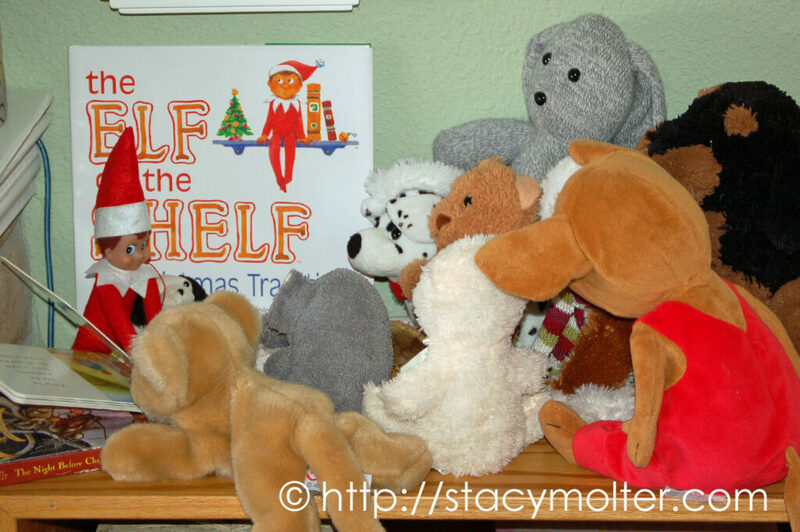 Storytime with the Elf on the Shelf. It’s a bird! It’s a plane! It’s Super Elf!!!! 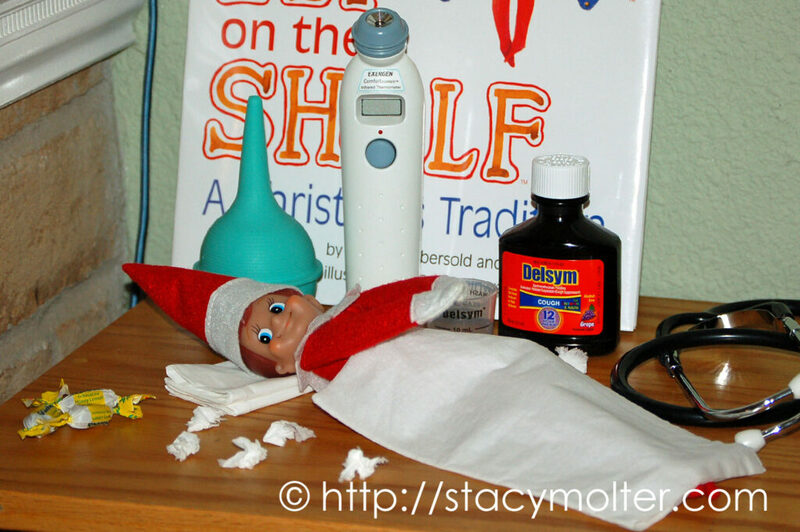 The crafty Elf on the Shelf. 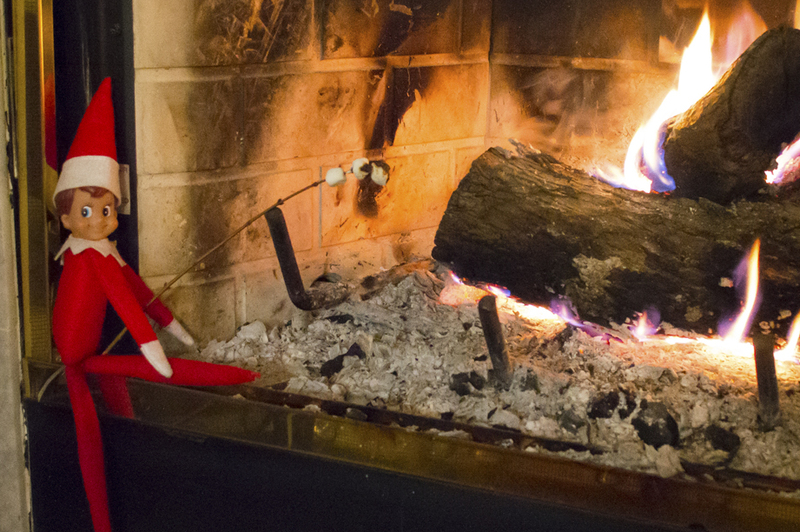 Roasting marshmallows by the fire. 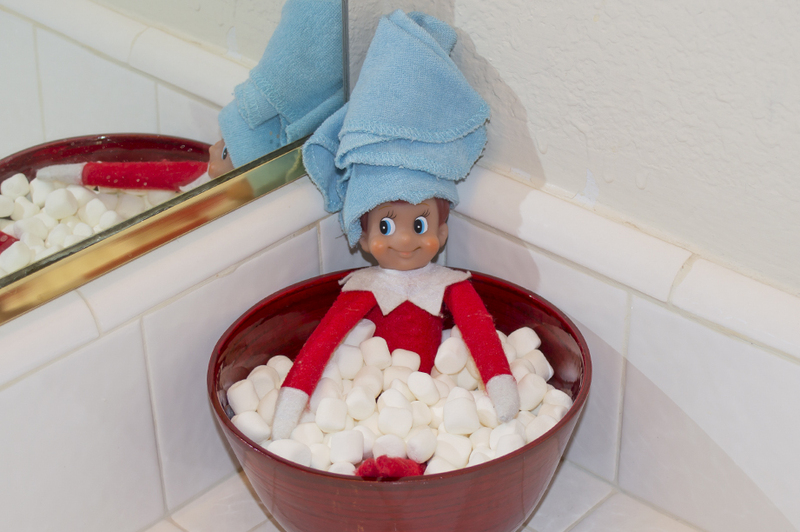 Bubble bath Elf on the Shelf. 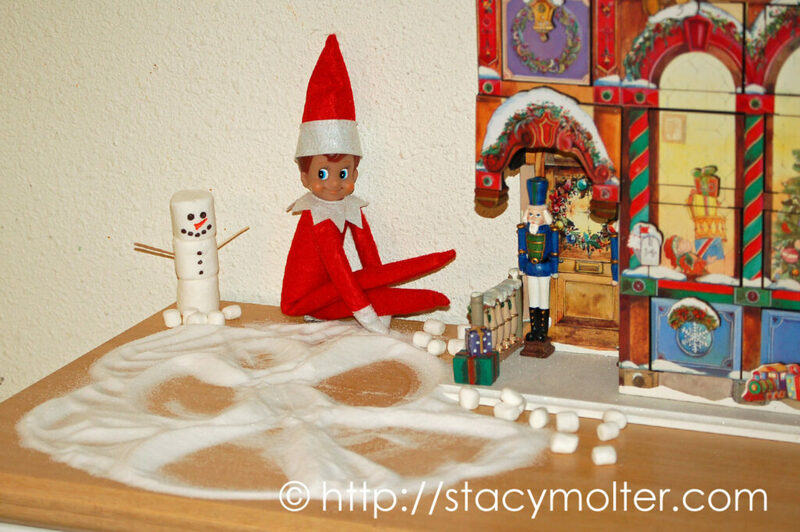 The Elf on the Shelf had a sweet tooth this night. 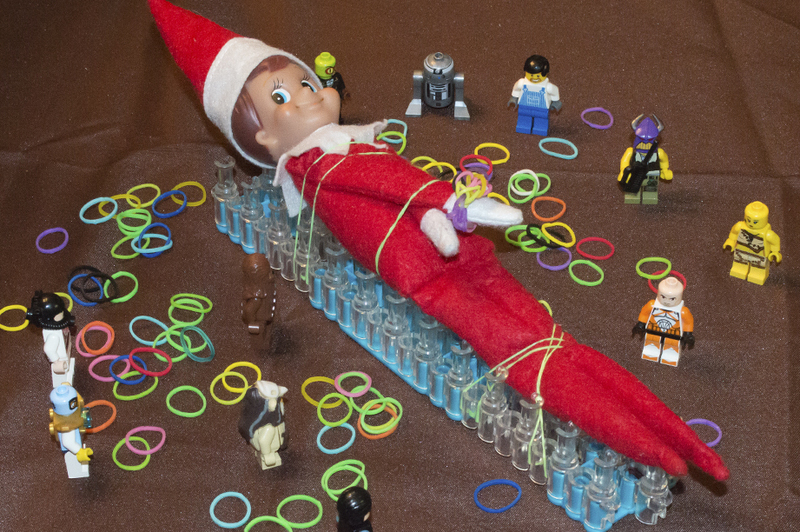 Rainbow loomed Elf on the Shelf. 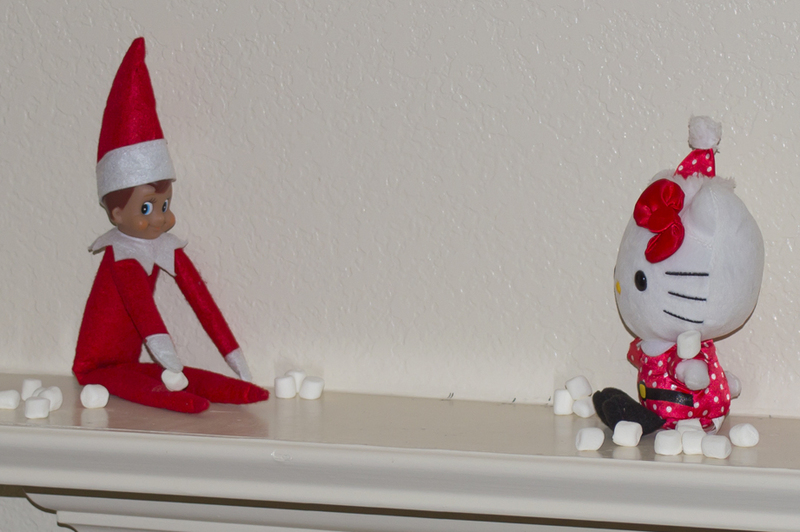 Snowball fight with Hello Kitty. 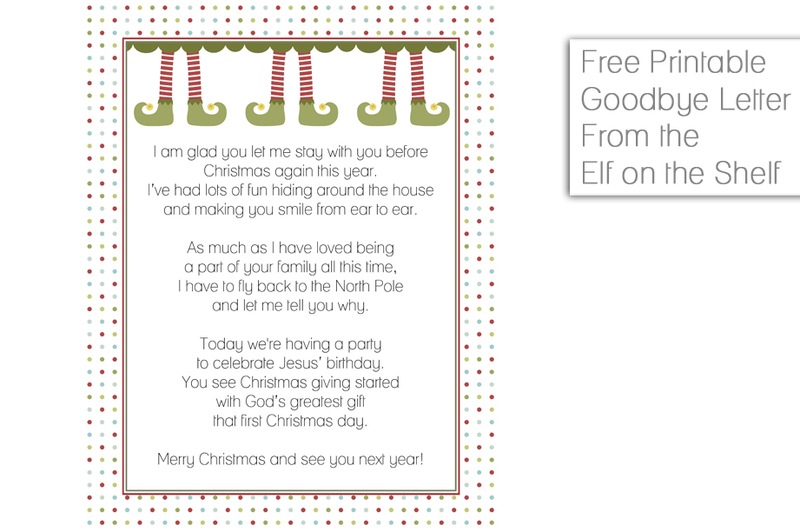 Goodbye letter from the Elf on the Shelf.